Mac users may encounter DOCX files from time to time, often sent from a Windows user as an email attachment or otherwise, as the .docx file types are standard document files created in newer versions of Microsoft Office. But what if you don’t have Office on the Mac? That’s ok too, even if you don’t have Office installed in Mac OS X, you can still open, read, and edit docx files on modern versions of Mac OS X, most often without any added software. 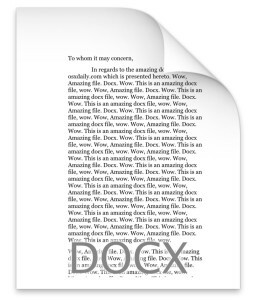 There is one potential hiccup however, in that some complex docx files or those with significant formatting may render inappropriately in TextEdit, making it less than an ideal environment to edit a docx file in. If you encounter that type of display errors when loading a docx file into TextEdit, you can turn to the Pages app, which comes installed by default on most Mac computers otherwise is available from the Mac App Store. If you’re still having trouble viewing the DOCX file correctly in Mac OS X (or opening the file at all), you can turn to the command line and convert a docx file to simple doc format with textutil, which is admittedly a more complex task than using TextEdit or Pages since it involves a terminal command. The same terminal utility also allows for batch conversion to text (TXT) format as well, just in case you have a ton of files you want to read the contents of, but don’t care about the formatting attached. Those situations can be great for standard document files where the data contained within the file is important, but the formatting or rich media of a document is not. Finally, another option for some stubborn files is to use a free tool from Microsoft called Open XML Converter. Open XML Converter allows you to convert Open XML files that were created in Office 2008 for Mac or Office 2007 for Windows so that you can open, edit, and save them in earlier versions of Office for Mac. This can be an ideal solution for users who are spanning many release versions of Office, Mac OS X, and Windows, as it allows for greater compatibility in many cases. I used to use Pages (and still do where the output does not need to be shared in editable form), but for handling .docx, I use LibreOffice. I’ve been very impressed with it, even if the interface is a little less polished than Apple’s. The good thing of pages is that now everyone, even windows users, can use it -and also Numbers and keynote- for free and without installing. All it takes is to create an icloud account (also free) and using it to log on to icloud.com. And it doesn’t require the user to own any apple devices (but if they do it’s best to log on using the same account as their apple devices). Open Office works, as well. Microsoft Works [sic] doesn’t handle them well. I use Pages and Office for Mac, both work great. Pages is good but still not 100% compatible with word – formatting wise. 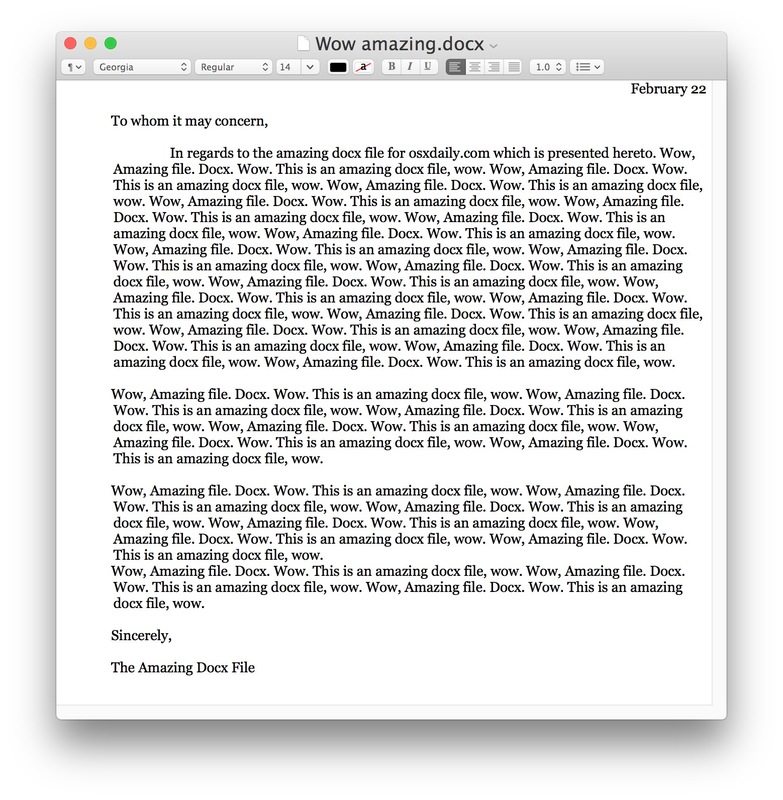 I’ve exported many a pages document as .docx and opening it up in Word yield surprises such as extra spacing (sometimes causing an extra page at the end) and other minor oddities. I’m surprised the article didn’t mention OpenOffice or one of its lookalikes such as LibreOffice or NeoOffice (though you now have to pay to download NeoOffice). None of these is 100% compatible with their MS Office counterpart, but they are probably closer than Pages/Numbers/Keynote. However they have some advantages. I use LibreOffice Write for long documents with Tables of Contents because PDF Export can generate clickable PDF bookmarks whereas MS Word on the Mac cannot (although the Windows version can). And LibreOffice Calc is more flexible than MS Excel at importing and exporting CSV files which use a separator other than comma. (if I’m incorrect, please let me know).. The article disn’t but the first person to comment (Neil) did say he uses Libreoffice. I have never found Pages to be as versatile as Word but I also have found NeoOffice to be superior to Word insofar as tools like Navigator and even Find & Replace that in NeoOffice you can keep open and still work on the document but in Word you have limited ability. I still prefer PowerPoint & Excel over the Mac corresponding apps and the NeoOffice corresponding apps. But I use NeoOffice for my medical patients in a very elaborative fashion & this may not necessitate it’s use for most users. Why not just right-click (ctrl-click) on the file and choose Pages or TextEdit? You don’t have to go through the open-routine. Just right-click and choose your preferred app to open with. TextEdit may work ok if the content is text – most every Mac owner knows that, but it certainly will not open a .docx file that has a rasterized image. Another asking why LibreOffice wasn’t included in the initial How To — perhaps even as the second option (fine, fine, go with a native application first). 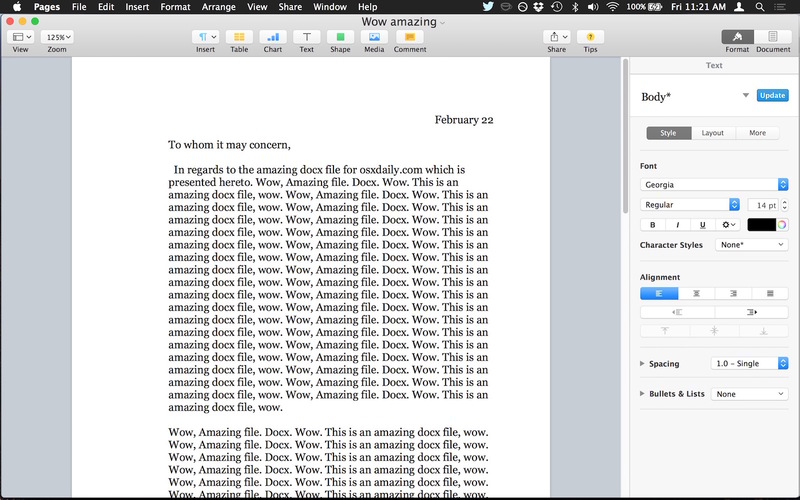 Free, powerful, free, far better compatibility with Word than TextEdit…what’s not to like?